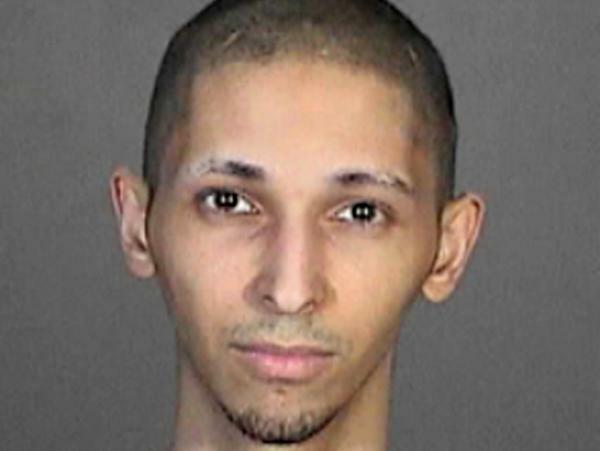 Tyler Barriss, seen in a 2015 booking photo after a fake bomb threat, is accused of making a prank call that led to a man's death. "Due to actions of a prankster, we have an innocent victim. If the false police call had not been made, we would not have been there," Wichita Deputy Police Chief Troy Livingston told reporters Friday. "We believe this incident is a case of swatting," said Livingston, referring to an extreme practical joke that has made headlines in recent years. Instigators call 911 operators within close proximity to their victims — frequently using caller ID spoofing or other measures to conceal their true location — and report severely volatile situations that may warrant a SWAT team response. (Hostage-taking scenarios are common.) The goal is to surprise their unwitting victims with a full-force police response at their doors. Prominent celebrities like Justin Bieber and Ashton Kutcher have been swatted, but the prank is most well-known in video gaming communities, where it has been used as a form of revenge. Speculation surrounding the caller's motivation has swirled as numerous gamers told The Wichita Eagle that Thursday's episode was fallout from a dispute over the game Call of Duty. But Finch's mother told the Kansas paper that her son "doesn't play video games" and had "better things to do with his time." The call that sparked the fatal ordeal starts with an erratic male voice telling a 911 operator that he had observed an argument between his parents and then fired a handgun at his father. "I shot him in the head, and he's not breathing anymore," says the man on audio released by Wichita police. He says he has cornered his mother and little brother in a closet. "I'm just pointing the gun at them, making sure they stay in the closet," he continues. "I already poured gasoline all over the house. I might just set it on fire ... in a little bit, I might." He then lists the address where the victim, Finch, was present. "I heard my son scream, I got up and then I heard a shot," Lisa Finch, the victim's mother told the Eagle. She says her son was unarmed. Finch says police later instructed her, her roommate and her granddaughter to come outside with their hands up, which meant stepping over Finch's "dying" body. The FBI's office in Kansas City, Mo., says its agents are, at the request of local police, now involved in the investigation, The Associated Press reports. UMG Gaming, which runs tournaments of online video games including Call of Duty, also told the AP that the company "is doing everything we can to assist the authorities." "We start from a position that every call must be treated as if it is a legitimate call for help," Forgety said.